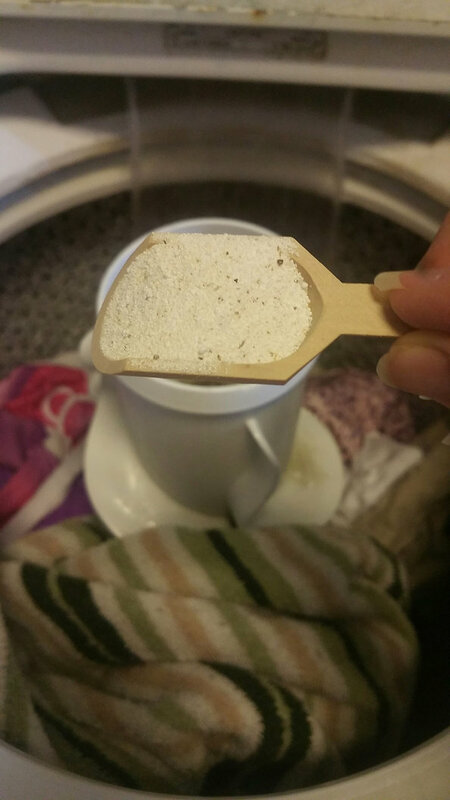 For a while now I’ve been making my own Laundry liquid soap, but I really wanted to try a powder. As I was looking for some recipes, I came across Simply Organic Laundry’s website. The ingredients looked great and I was super excited that they were based out of Ohio! So, I decided to give it a go! Boy am I sooo pleased that I did. Upon opening the box, it smelled amazing!! I was so excited to try it! Simply Organic Laundry powders are earth-friendly, full service laundry powder to meet all your laundry and clothes washing needs! 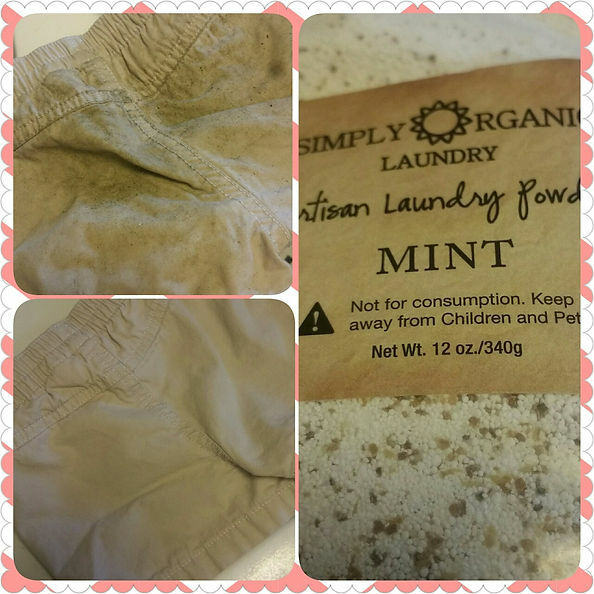 Simply Organic Laundry is safe to use on all fabrics including baby clothing, diapers,and your delicates. Of course, Simply Organic Laundry cleans typical laundry items, as well, such as sheets, towels, active wear, pet bedding, and heavily soiled clothing. Simply Organic Laundry has four simply natural, yet powerful, ingredients selected for their excellence in cleaning clothes throughout the ages: Soda ash (common washing soda mined from the Green River Basin in Wyoming). Soda Ash both cleans and deodorizes. Sodium Percarbonate for whitening and brightening, an enzyme mix to break down common stains, and finally, ground Soap berry. Soapberries are fruit from the Sapindus Mukorossi tree, one of the earliest known species which produces natural soap (saponin) and cleaning power. The soap berry, not only cleans, but also serves to soften your laundry in the washer and the dryer. Simply Organic Laundry is low sudsing and works for all washer types, both standard and high efficiency models. A 50oz. bag can wash 100 high efficiency loads. One tablespoon per load is all that is needed for an average load. Simply Organic Laundry offers four, choices: Simply Naked-the original with no added oils or fragrance, Simply Baby with a delightfully soft fragrance, Simply Lavender and Simply Mint-both scented with the purest essential oils. Even the packaging is earth-friendly and biodegradable. The instructions were pretty straight forward. 1 wooden scoop (that’s included) for a HE load and 2 scoops for a standard washer load. Plus, the wooden scoops are so adorable and fun! The laundry powder couldn’t of come at a better time. My two daughters were outside playing all day yesterday. My 1 year old, who can not walk yet, still crawls everywhere. They were playing in their water table, where water and dirty concrete with a crawler, doesn’t mix. Her shorts were wrecked. The mud and dirt was so ground in, I was certain they were gonna be trash. 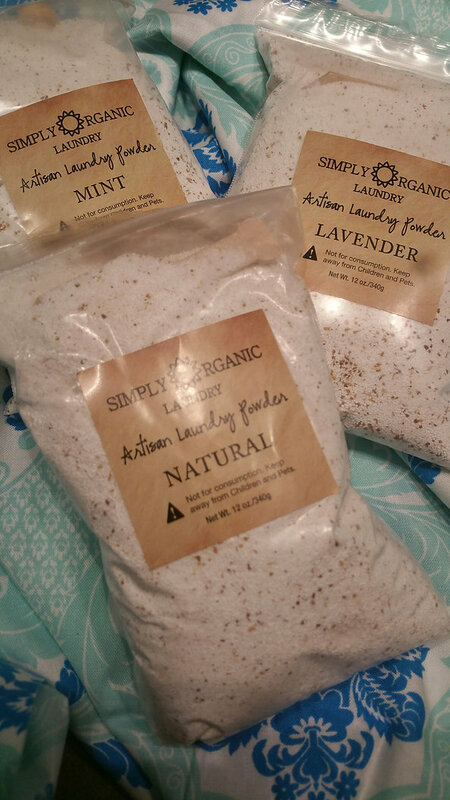 So, I figured this would be the perfect time to try out Simply Organic Laundry Powder! The Mint was calling my name. It smelled so good, I wanted to eat it. haha.. I can tell you though, It may smell lovely and gentle but It really did get the dirt and grime out of my daughters shorts. I was stoked! Today was a whole other day. Same little 1 year old and a full day playing outside…in a dress of course. Water and mud were her friends. I came home from work and the bottom of her dress was drenched and once again, She crawled around and rubbed the dirt in good. I thought, let’s put the Artisan Laundry Powder to the test again! Grabbed the Lavender, tossed in my 2 scoops and patiently waited to see the results. As soon as I heard the buzzer I ran in.. What do ya know.. her dress was perfect again! Didn’t even look like it was sent through the ringer! 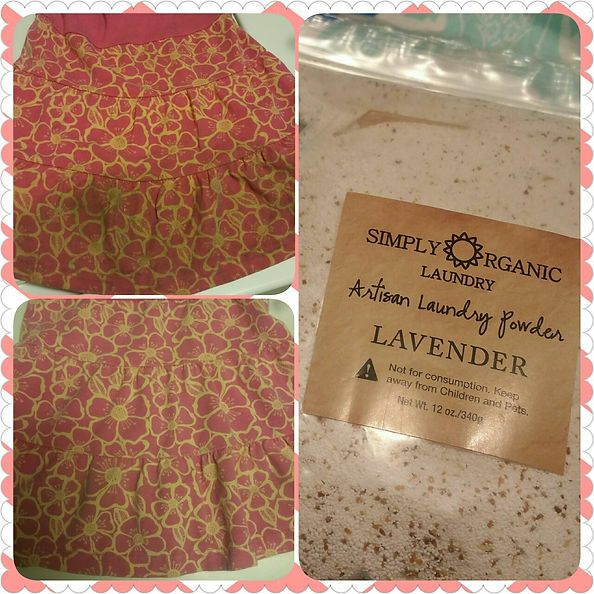 Have you tried Simply Organic Laundry Powder? What do you think? Share your thoughts in the comments!